The dog gone days began when my daughters departed for their college experiences. Both would be 1,000 or so miles away from home and their furry siblings. My husband and I had already booked our flights for our parents' weekend visits in late September. 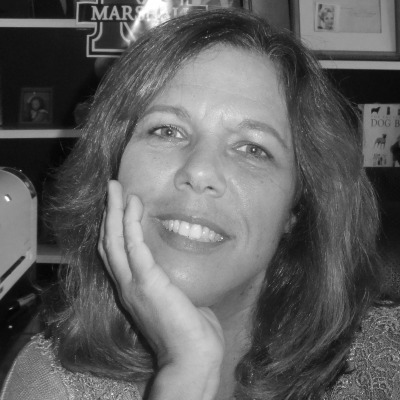 Still saying "so long" wasn't easy for this mom who had never sent her kids to sleep away camp or been away from them for more than a week at a time. And to be honest, that was one time when they traveled with their high school band to Florida by bus. My heart ached but watching them during the New Year's Day parade on television filled my heart with pride and joy. Their furry siblings, the ones I lovingly refer to as my canine kids, sensed their departure (as they did for family vacations) at the sight and sound of those heavy things with wheels being dragged down the steps that meant they'd be left behind. At least this time their caretaker, (Human Mom) wasn't going, too. They wagged their tails, moved in closer for long hugs and graciously accepted a few extra treats before their energetic human siblings departed. Surely, they'd be back before long. Pebbles and Rocky saying so long. After days passed, the dogs meandered, with their heads lying low, into the empty bedrooms at random times. They'd come out of a bedroom sometimes after just moving around it, probably just seeking out their scent, and other times after taking a nap on the well-made bed. I knew this was their way of telling me they missed them, too. Of course, their absence also took a toll on the ones away. 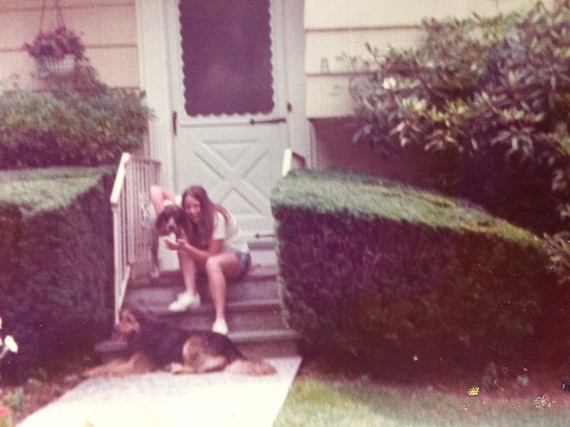 Often, my daughters would text, "Send me a picture of Rocky and Pebbles." Or, "Please take a video of them." And, when one of my daughter's was sick with a head cold, I did a Face Time with our big girl, Pebbles, who always made her feel better. It might sound absurd, but at the sound of my daughter's voice, Pebbles raised her ears and didn't move the entire time while looking at the phone. When my other daughter was stressing over an exam, I used that same "dog therapy" mechanism with her. We hung up and the canine kids had worked their magic with my daughters. 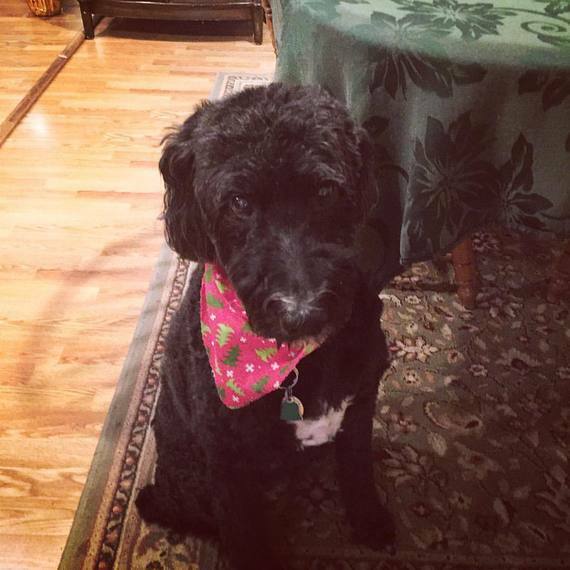 As I view the parent Facebook pages, I am moved by all of the photos of the students returning home for their recent fall break and the overwhelming greeting they receive from their dogs. This was certainly the case at my home when my daughters visited for their fall breaks. Rocky and Pebbles came flying down the steps as the car pulled in the driveway and nearly gave away the surprise visit for this mom. 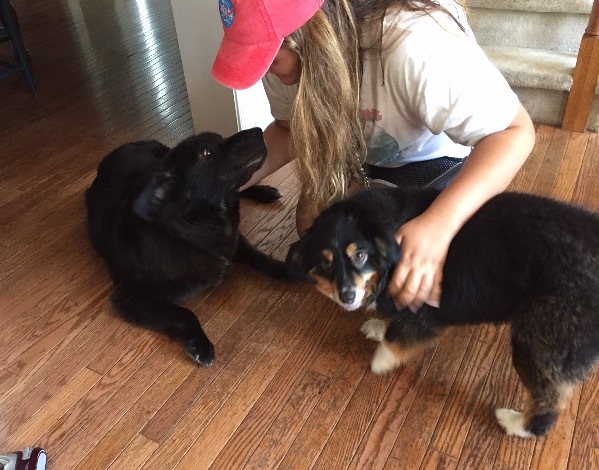 My oldest daughter arrived in the morning and already the house filled with the energy from the dogs' enthusiasm and my daughter's excitement of seeing them. Later that night my other daughter arrived and, again, I thought it odd that they didn't bark at the late hour of someone coming in the house. I heard screams and laughter and came down the stairs to both girls on the floor with their dogs close at hand. The dogs went back to greeting them in their rooms with their tales wagging. I'm not sure if they were in on the surprise (Dad often shares his thoughts with his best hiking bud, Rocky), but I do know both of them were sad to see them go. 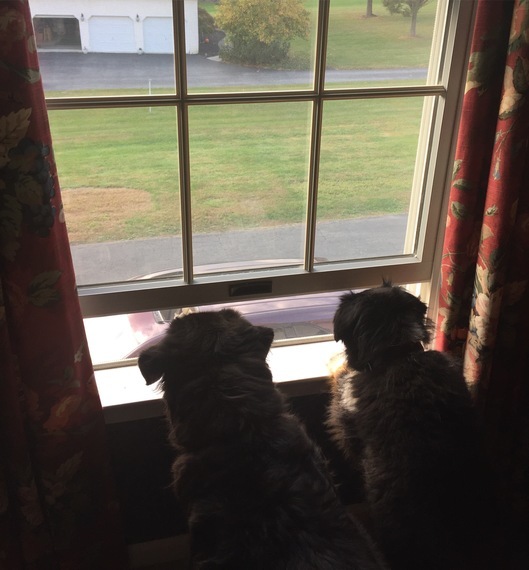 After a final hug, they both came back in the house, ran up to the window facing the driveway and looked out at the car pulling away with concerned looks on their faces as though saying, "If you must go, be safe and come back soon." 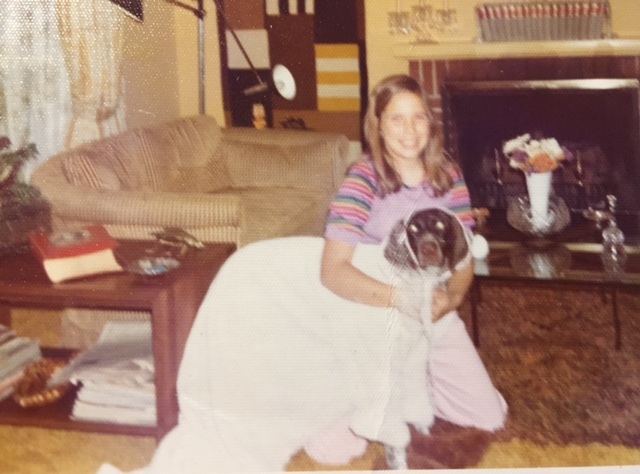 This time of year brings back memories of being a student myself, and leaving my dog Dallas (a German Shorthaired Pointer, named not after the popular show airing at the time, but the place where my brother was going to college when we got her) behind. She was a wonderful dog in every respect. During my junior year, my roommates had gone home, and I spent the weekend studying for upcoming mid-terms. It felt as though the sorority house was empty since there wasn't much going on that weekend on campus. I'd called my mother a day early that week, thinking it'd be nice to talk on the hall phone without any background noise or distractions. Also, something prompted me to call her. She answered the phone, and I could tell she was holding back tears. "I don't want to upset you, but I need to tell you something," she began. "I had to put Dallas down. She couldn't get up and go out anymore." She had lived a little more than 12 years, a good age for her breed. I remember trying to be strong during the phone conversation so I wouldn't upset my mother. That night, I cried while looking at all the photographs I'd taken of Dallas over the years. Long before the famous Weimaraner books by William Wegman, I'd dress Dallas up, sometimes as a volleyball player, a flapper, or a bride. My tears were flowing non-stop at the realization of never seeing her again and not being able to say goodbye to her. A tap at the door and the housemother came in. I'd forgotten how quiet it was and how much any sound echoed down that long hallway where her room was located. "What's the matter?" Mildred asked. Usually, she brushed things off and said, "You'll be fine tomorrow," when we complained about boys, tests, pretty much anything. Given her love for her poodle, who lived with her at the time, she showed a much softer and compassionate side of her. She took the time to make me feel better as I shared stories about when I got Dallas as a puppy. Before leaving she said something that stayed with me always, "It's very hard. Our dogs are a piece of our hearts." Dallas dressed up as a bride with author. Though I've since had other dogs cross the "rainbow bridge," there is always the realization that their time to leave has come far too soon. The profound love they have given in the short time is immense and for that we are forever thankful. 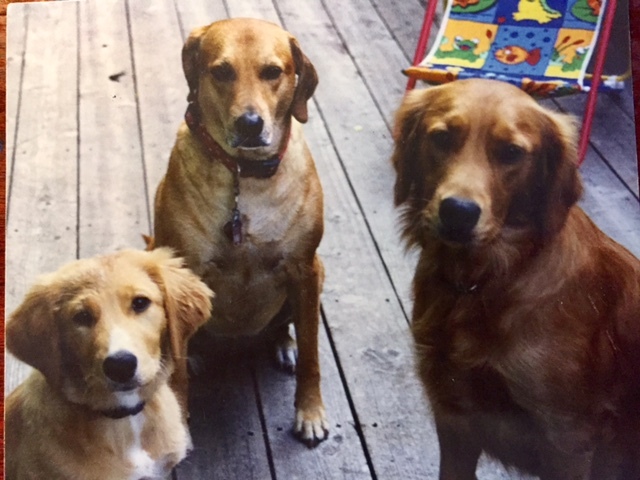 The redhead club consisting of author's dog (center) Zoe, and her neighbor friends, Betsy and Maggie. Being away from our dogs is difficult at times, but the welcome they greet us with after being apart for a long stretch (yes, if it's an hour or the end of a work day they come trotting at us with tails wagging) has them bolting at us with their tails wagging non-stop and lots of kisses in our faces for mandatory hugs. Their nurturing ways and heartfelt joy when given attention makes them one of the family. They are our protectors, best friend, and are always there when we need them most. And, because they have a piece of our heart, we will forever cherish our time with them.